Disney Junior: Puppy Dog Pals Cookies. 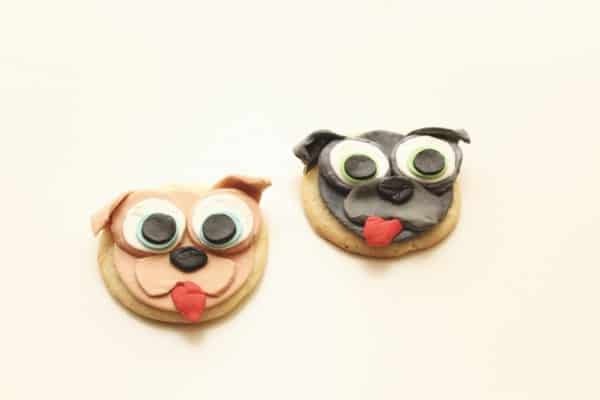 Throwing a Puppy Dog Pals Party or just want to celebrate your little puppy loving baby with some fun cookies? 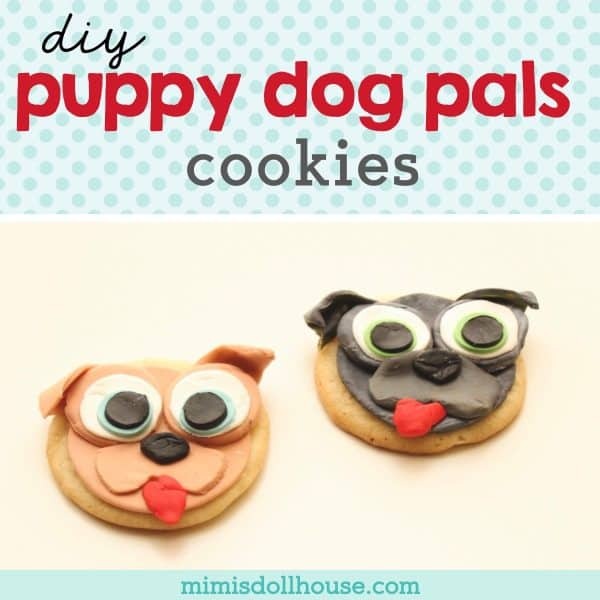 This easy DIY Puppy Dog Pal cookie tutorial is for you. 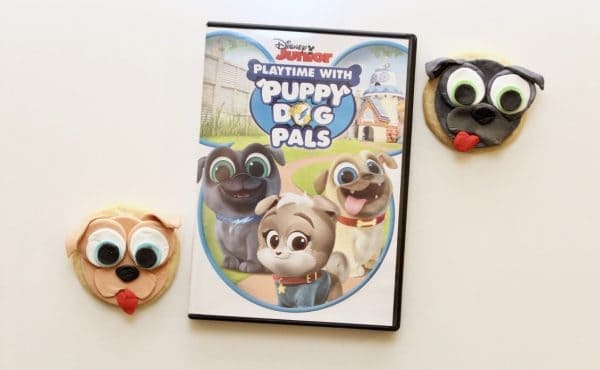 I’m sharing this tutorial to celebrate the release of Puppy Dog Pals: Playtime with Puppy Dog Pals on DVD. Be sure to check out our other DVD reviews. 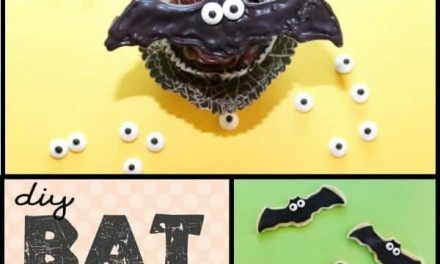 Looking for more character themed DIY treats and crafts? 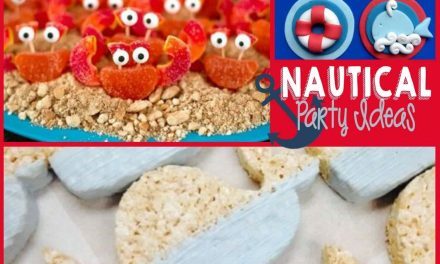 Check out these Vampirina Cookies, these Kermit the Frog Oreo Pops, this Chewbacca inspired party and this Incredibles t-shirt! Throwing a PUPPY DOG PALS PARTY? ☑️ These Puppy Dog Pals Party Supplies are the perfect way to get your party planning headed in the right direction! 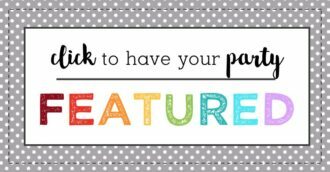 plus tons of bonus stuff…trust me…your little one will love it! 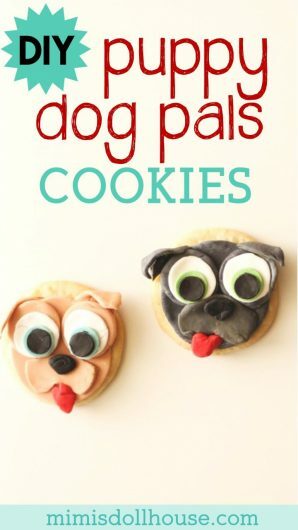 To celebrate this fun DVD…I have put together a little Puppy Dog Pals cookie tutorial…let’s get baking!!! Mix fondant with food coloring to make gray and tan. Roll out the fondant to about 1/4 inch thick. Cut using the circle cookie cutters to match the size of your cookies. Allow to sit for 5-10 minutes to stiffen slightly. Place on top of the cookies. I used a little bit of frosting to help the fondant stick, but if the underneath side of the fondant is still soft, it will stick with a few drops of water. Cut one large circle per cookie. Using the smaller circles, cut two gray or tan circles for each cookies (approximately 1″ diameter) for the eye brows, two small triangles (round the corners or each) about 3/4 inch wide, and a half circle slightly smaller than the cookie. Use the fondant knife to cut an upside down v shape into the half circle bottom and round the edges to make the mouth shape. Place the circles onto the top of the cookies and the mouth underneath. Set the triangles aside. Mix fondant with blue and green and black for eyes. Roll out white fondant, black fodant, blue fondant, and green fondant as done in Step 2. Cut three sizes of circles for each eye…3/4″ white, 1/2″ blue (Rolly with tan face) or green (Bingo with gray face) and 1/4″ black for center of the eyes. Each cookie should have 2 white,2 blue/green and 2 black circles. Allow to sit for 5-10 minutes to stiffen slightly. Place the white, then blue/green, then black circles onto of the eyebrow circles on your cookie. Cut small circle with black and smush to make nose shape. Add to the top of the mouth. Use a drop of water to make the fondant stick to each other. Mix fondant with red for tongue. Cut using a heart shaped cookie cutter from the shapes collection. pinch the top of the heart a bit and place at bottom of mouth with a drop of water. Add the triangles over the top of the eyebrows and bend slightly so they look like ears. Easy peasy and so much fun to eat!!! 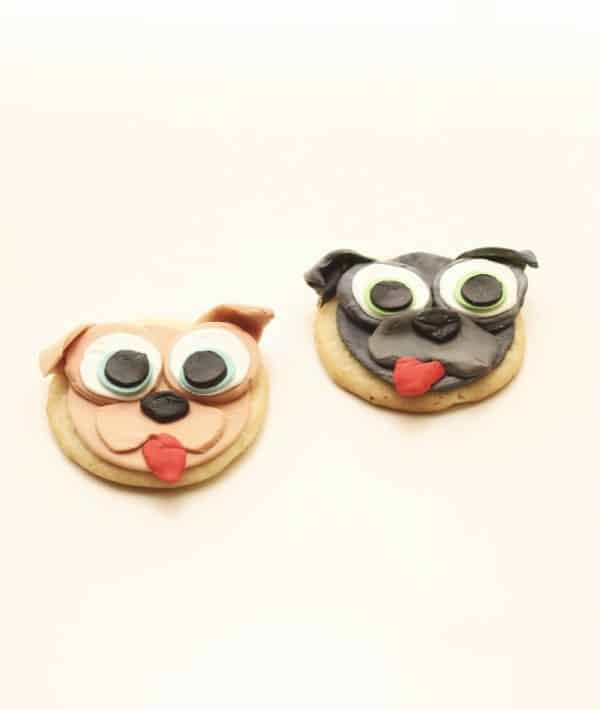 Enjoy your Puppy Dog Pals cookies and grab your copy of Puppy Dog Pals: Playtime with Puppy Dog Pals! These cookies are so cute! My son loves this show. 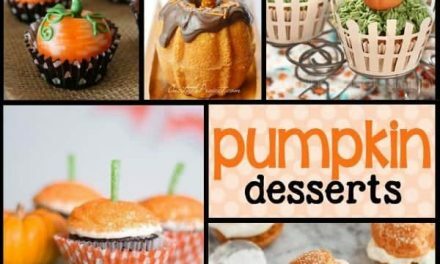 We might make these just because! Oh my these are the cutest ever! Too cute! What kid wouldn’t have their ears perked for these? My two year old is also obsessed with this show. These cookies are super cute and will try it! Oh gosh! These are just the cutest – almost too adorable to eat. What a fun project for sure! This looks really fun! I think if I pre-made the circles and whatnot my youngest could help me make them and she loves Puppy Dog Pals. Oh these are the cutest!!!! They are so perfect! My daughter would love these! 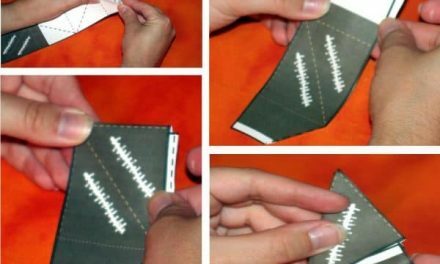 This is such a cute activity! These cookies are so cute! My daughters will love these! What adorable cookies! My kids love this show!